Freidin Brown, P.A. is thrilled to introduce our newest lawyer, Whitney Untiedt, who joins us from Akerman LLP, where she was a partner and Director of Pro Bono Initiatives. Whitney has more than 14 years of legal experience in a wide range of areas, including complex civil litigation and appellate practice, and in 2016 she was named “Lawyer of the Year” by the Daily Business Review. At Freidin Brown, Whitney will be leading the firm’s national Whistleblower/Qui Tam practice, as well as representing victims of medical malpractice and complex personal injuries throughout the state of Florida. “Whitney is a proven force to be reckoned with, both inside and outside the courtroom. We are thrilled to have her join our team and lead our whistleblower practice,” said the firm’s founder, Philip Freidin. 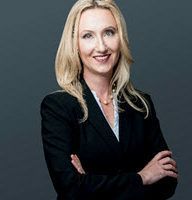 Before joining Freidin Brown, P.A., Whitney developed a prominent reputation for her work on behalf of nonprofit organizations and vulnerable clients facing complex legal situations. She has authored numerous articles in legal publications, most recently in the Emory Corporate Governance and Accountability Review, Law360, and the Florida Bar Journal, and is a nationally recognized speaker on issues of client advocacy, professional ethics, and trial skills. On top of her professional accomplishments, Whitney has been—and will continue to be—a leader in the community. While at Freidin Brown, she plans to maintain an active leadership role in several leading organizations, including the National Juvenile Defender Center, the Lawyers Network Commission Center for Reproductive Rights, and the National Institute for Trial Advocacy. Whitney is also a proud Florida Gator and President-elect of the University of Florida Law Alumni Council. With its main office in Miami, Florida, Freidin Brown is a boutique medical malpractice, complex injury, and whistleblower law firm representing plaintiffs throughout Florida and the United States. For more information about Whitney and the firm, please visit our website at www.YourFloridaTrialTeam.com. For media inquiries, please contact Caroline Venditti cv@fblawyers.net.